Norfolk alternative rockers releases their new album. Louder Than War’s Paul Scott-Bates reviews. As the title would indicate, One Real Big Identity Crisis flies through one of the most eclectic albums you’ll have heard for a while. 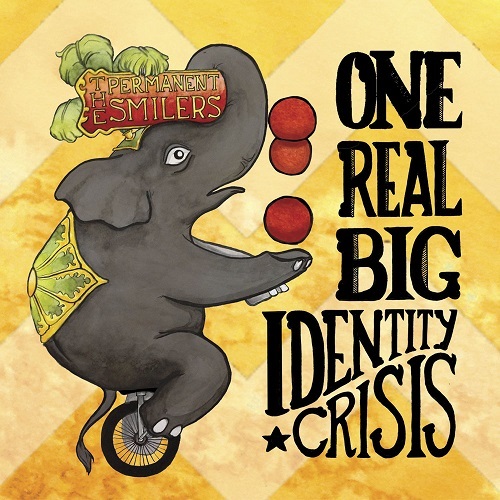 From the opening Identity Crisis sounding like The Wedding Present and straight into Uh-Oh with its Sergeant Pepper characteristic, the album is clearly influenced by many. Led by Richard Lemongrower (unsurprisingly the songwriter behind The Lemongrowers) the Norfolk band fill an album with thirteen tracks, some obscenely short, which are nothing short of effervescent and very enjoyable. Anyone who says that the album is incoherent clearly isn’t listening as the tracks are perfectly arranged in a running order that speaks as much about the album as the tracks itself. Like the circus depicted on the album artwork the tracks move from act to act in a fashion that indicate a band already at the top of their game. Elastic is a catchy piece before the chorus comes into play with hints of Inspiral Carpets containing a lovely little keyboard tinkering away in the background, and despite Just No Good being less than two minutes long it packs an energetic backing and power in from the off. With nods towards Wonderstuff and Ned’s Atomic Dustbin thrown in for good measure it’s an album that really can’t fail to impress. It Doesn’t Work Anymore has more than a smattering of The Fall about it and by the time the low-key Ghosts comes around a respite is more than welcome. Ghosts is lovely, with its gentle horn section and simple percussive background allowing vocals to shine through. Voodoo as you’d expect has a slightly tribal sound and vocals that appear to be echoing through a jungle pass, and You Know When To Go is the most energetic fifty-four seconds this side of Norwich. More simplicity with album closer Sleepyhead in the style of Here Comes The Sun and who can argue? As Spring approaches The Permanent Smilers could be ready to grin inanely across the airwaves. The Permanent Smilers have a website here and can be liked on Facebook here.